We’re proud to introduce Brian from Second Shift Art! Brian started Second Shift Art in 2013 when he found a new use for scrap gearbox parts. Read more about Brian’s success story! Taking scrap gearbox parts and making clocks quickly became a hobby for Brian, as he began creating pieces as gifts for friends and family. The clocks began to gain interest from others, so he decided to make them available and affordable for the everyday race fan. With new ideas and more parts, Brian turned his hobby into a business! Brian recently expanded his collection to include lamps, tables, trophies, and custom pieces. 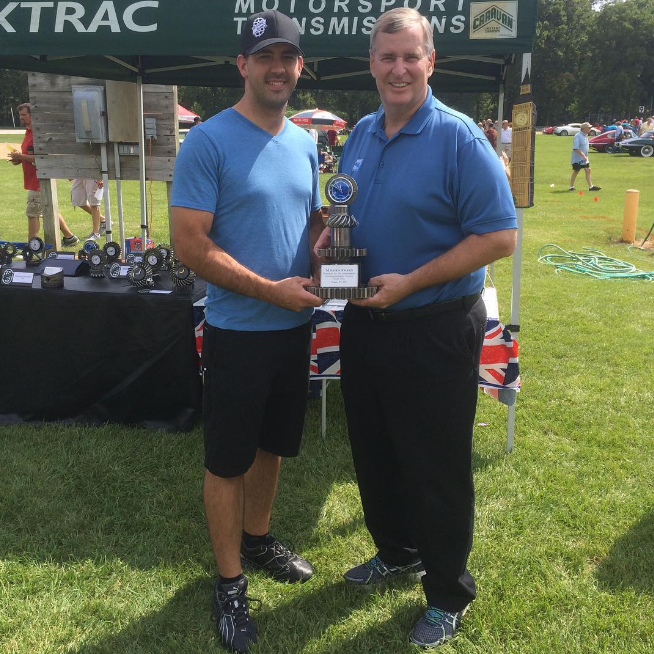 He’s pictured below with Indianapolis Mayor, Greg Ballard, at the All British Car Show. Brian designed the “Mayor’s Award” trophy for the show. You’ll notice the trophy showcases our blue clock insert. Brian also uses our quartz clock movements, clock hands, and a variety of other clock inserts. 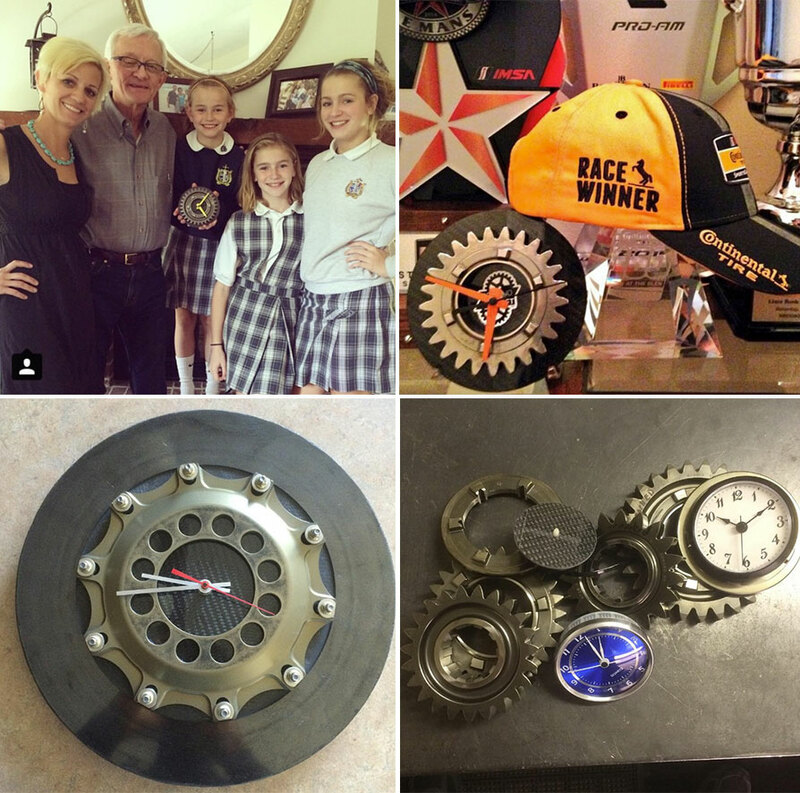 We’re thrilled to help Brian turn used racecar parts into art! Empowering creativity is what the Klockit team does best. See more of Brian’s work at: http://www.secondshiftart.com and be sure to follow Second Shift Art on Facebook and Instagram to keep up with Brian’s latest creations! Several yrs. ago in your Klockit catalog, you featured a Hermle key wound mvmt. that sounded the hrs. on 4-bells, playing the Westminster Chimes. I do not see this mvmt. on you on line catalog. Has it bee discontinued or no longer available from the Hermle factory? Hi Laura, which catalog (season and year) are you looking at? Or, do you know the Hermle model number for the movement you’re describing?